A trade war has been averted, but tariffs are still in place on steel. Steel manufacturers need to find new ways to cut costs, and some are looking to heat pipe technologies. Although Juncker and Trump walked out of trade meetings triumphantly this summer, the steel industry could not yet heave a sigh of relief. Despite an all-out trade war being avoided, the tariffs imposed on steel and aluminium by the US in March of this year are still firmly in place. Exemptions have been granted to certain steel manufacturers for products that can be proved to be “not produced in America” but this process has been slammed by critics because the criteria for acceptance or rejection of a proposal for an exemption are extremely unclear. So far Japan, Thailand, China and Taiwan have secured more exemptions than any other country worldwide. Although European countries like Germany and Belgium have tried their hand and won some exemptions, the number granted to EU members remains small. 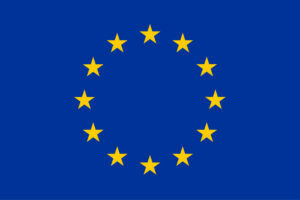 According to European Commission sources, the US measures on steel affect a total value of €5.3 billion of EU exports. As the US government appears to be cherry-picking the winners and losers in terms of access to the American markets, EU steel manufacturers need to start doing what they can to minimise their losses. ‘There always have been a number of energy intensive industries that throw a lot of heat away,’ said Prof. Brian Axcell, a professor at the Institute of Energy Futures at Brunel University, UK. Instead, that heat could be stored or channelled back into the production process, cutting gas costs. One way of doing this is by adapting the heat pipe technology to recover waste heat from walking beam furnaces in rolling mills safely, thereby lowering the amount of natural gas needed to power steel production. The heat pipe based waste heat recovery system will feed the absorbed heat energy back into the system to be re-introduced at an earlier stage of the process. This process kills two birds with one stone: effectively cutting costs while simultaneously reducing the environmental impact that the manufacturing plant has. A fact that the EU funded project ETEKINA wants to take advantage of. Their aim is to recover more than 40% of the waste heat energy emitted in specific processing steps of three energy intensive industries. Alojz Buhvald, executive director for the Slovenian steel production SIJ Metal Ravne, a partner and end-user tester in ETEKINA, sees great potential in the technology. Over the last ten years, new soft- and hardware has spurred improvements in the technology. ‘If you’ve got a lot of heat pipes that are thermally linked in parallel, then you do need very capable computers to run the tremendous number of iterations that are required to carry out the thermal and mechanical design and model what’s happening,’ said Prof. Axcell. Additionally, engineers can now more precisely model the steel production systems, which has made it possible to calculate heat streams and save energy. New developments are appearing all the time. In 2010, the ETEKINA Project Scientific Coordinator Prof. Hussam Jouhara and a team at Brunel University proved that one of the cheapest types of steel, carbon steel, and one of the cheapest working fluids, water, could be used to make robust heat pipes. Prof. Jouhara’s lab also discovered new optimising methods that allow the design of more cost effective wickless heat pipes to be designed and manufactured, including complicated designs that were deemed impossible before then. These developments allowed the ETEKINA project to become a reality. 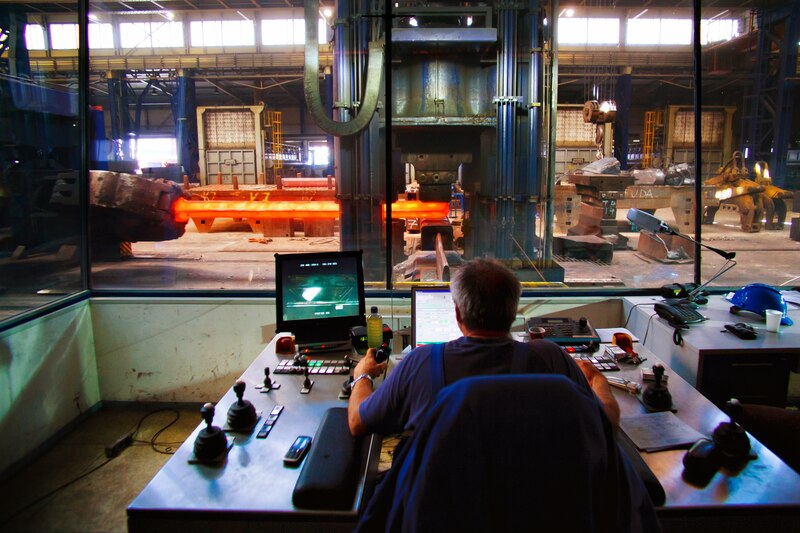 Most energy intensive industries are cautious about adopting new technologies, but ETEKINA, as an EU-funded project, will serve as a case study to prove that this technology works, thereby encouraging take-up by the steel industry at large. The technology itself is based on the fact that heat rises. A sealed heat pipe contains a working fluid, which absorbs heat at the lower end. 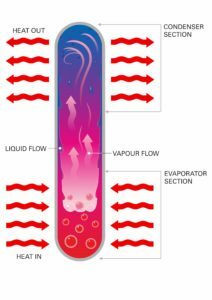 The liquid then vaporises and carries the thermal energy upwards to the condenser section, where it encounters a lower temperature. As a consequence, the vapour condenses (back to a liquid) and thereby releases heat. The liquid runs down the inner walls back to the evaporator section where the process starts over again. As part of the ETEKINA project, three unique heat pipe heat exchanger systems will be built in full scale. They will be tested in the aluminium, steel and ceramics sectors in three European countries. Mr Buhwald who is in charge of the trial at SIJ Metal Ravne in Slovenia thinks that the new designs could represent a real step forward for heat pipe technology. ‘It’s very important that we improve this heat technology and that we can also open doors for others and re-use more and more waste energy,’ he said.